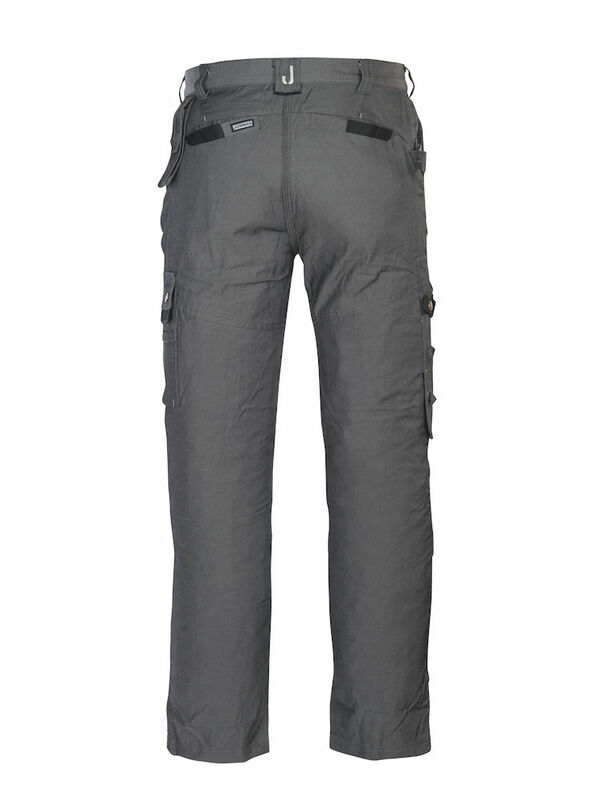 Made of a durable new fabric, the pants are water and dirt-repellent and suitable for a wide variety of uses. They are also lightweight and comfortable with a brushed inside. 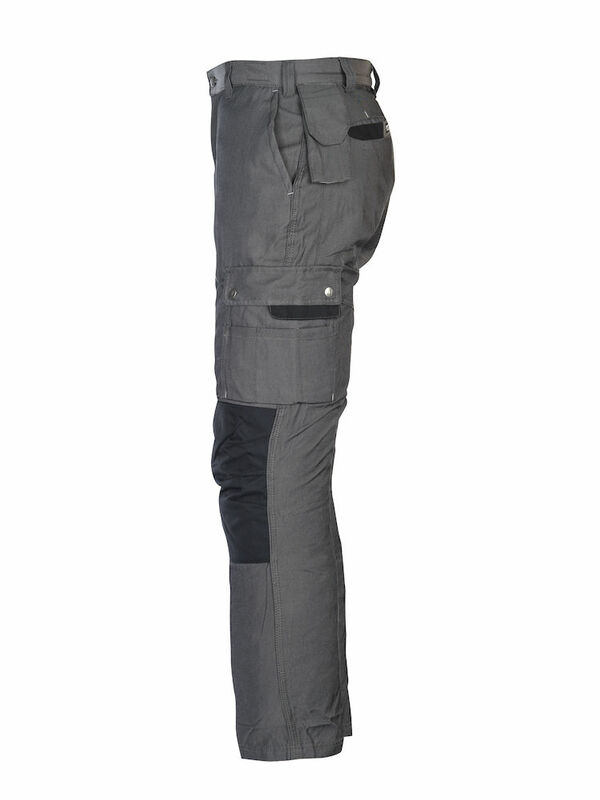 Reinforced knee pad pockets and rule pockets increase durability. These stylish work pants have front and back pockets, a leg pocket with an internal phone pocket, ID card holder and flap, and a front pocket with extra compartments on the right leg. Awesome pants; comfortable and well made. The waist is a little smaller than sized and the length is a little longer than sized. I am a 32x32, I ordered 34x32 so the waist would be looser to accomodate a concealed handgun holster. The pants fit snuggly without the added holster. These are the best work pants I have ever owned. The build quality is remarkable but its the design and layout that most appealed to me. You could say the pants are over-engineered! since you can tell a lot of thought was put into the design and construction. I am on my knees a lot everyday and the knee pad design is the best I have ever used, the pads are light and don't shift, pinch or slip down when you kneel like the external knee pads we all have used. The pants give you a more professional appearance and hold all your tools right where you need them. I have received many compliments from my coworkers and customers on the pants. I just bought two more pair and plan to purchase more pants in the future. Absolutely the BEST work pants I have ever owned. These pants are kevlar tough. The knee pads stay put, due to excellent design and are durable as the pants they come with. I did read the reviews before making my purchase and agree with the gentleman who said to order at least one waist size larger than you normally wear as they would have been too snug if I ordered the size I normally wear. Length is perfect though. I will be ordering more of JobMan's products in the future. 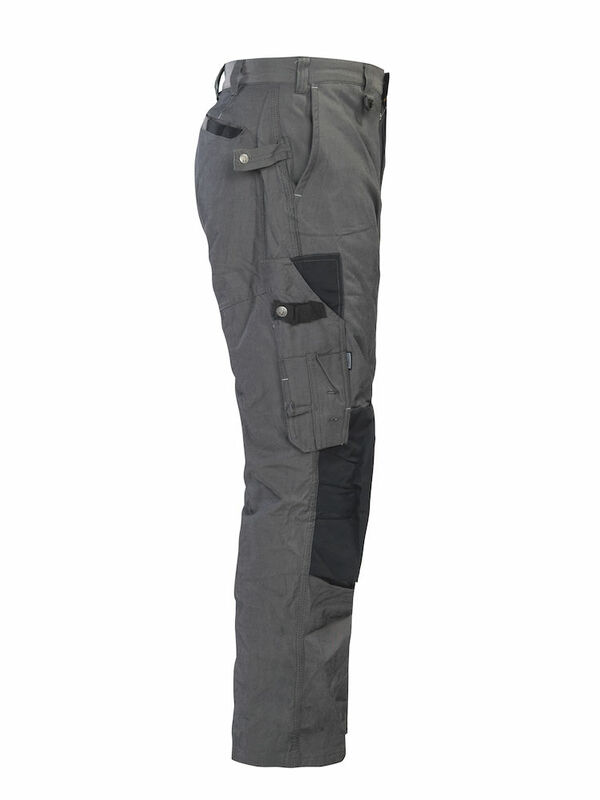 these are great pants, like they said order one size up, the knee guards work well the pockets are a Godsend I especially like the sheath pocket were I can place my multi-tool. overall great pants. Excellent fit and quality. I work 17 hour days in customers production facilities and they remain comfortable and useful with all the pockets. Knee pads are a Godsend and located perfectly! My size is 36 x 32 and the fit is spot on. They resist dirt and grease very well and are extremely rugged with regard to altercations with machinery, no tearing. They launder well and as of yet have not faded or shown any sign of wear. The only thing I would like to see would be a larger cell phone pocket, for the larger ones of today. I will be getting more soon. I'm 5'5" and weigh about 114lbs and I wear the smallest size they have here (28x30). These pants fit above the waist and it's perfect for me as I don't like low waist work pants (my waist size is 26". The phone pocket fits an iPhone 5s with a lifeproof case, not sure if it will fit an iPhone 6. I can also fit my Samsung galaxy 7 in there. Found a minor defect on one of the kneepad pockets but it's really minor. The reinforcement stitching was in the wrong area and made the pocket smaller. Had to cut out the stitches to get the pad to fit. Again, not a big deal as I can make some reinforcement stitches later down the road. The length of the pants was a little long, but that can be altered to the length I need. Roomy pants with freedom of movement and it looks great. I received a lot of compliments on it and envious eyes. Folding rule pocket is really handy as I use folding rules more often than a tape measure. It also fits my inspection mirror. Pockets are roomy and easy to get to. The ID pocket comes in handy to store my confined space entry cards. I'm definitely buying another pair in a few months. My husband really love this pants, super quality, very comfortable, light weight and fit perfectly. And a lot of useful pockets for different things. The size notes were perfect, the quality is everything that was described. The pants fit like I've worn them a long time. I Love them! I have only one suggestion, the knee pad slots are just a bit low for my short legs. Although when I do kneel down the pads cover more my shin than the knee, they still function well. Again like the knee pads themselves I Love these pants. I need a second pair!